This year’s general election will be the world’s largest democratic exercise, and the biggest ever test of the role of social media in an election. 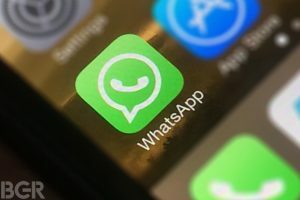 The role of WhatsApp could be crucial in deciding who wins As the ruling Bharatiya Janata Party (BJP) readies for battle with the newly energised Congress party-led opposition in the election that must be held by May. India already has close to 900 million eligible voters, and around 200 million of them are on Facebook’s WhatsApp messaging service – more than any other democracy. While Twitter and Facebook were embraced by Indian politicians in 2014 elections, it’s WhatsApp that has now become the social media tool of choice. Congress and BJP party workers showed a Reuters reporter dozens of WhatsApp groups they were part of and used for campaigning in Jaipur city and the nearby rural town of Tonk, where traditional methods like public speeches and poster campaigns were widely used during the state poll. While Congress said its volunteers managed 90,000 WhatsApp groups in Rajasthan, BJP said it controlled 15,000 WhatsApp groups directly, with its workers campaigning through roughly another 100,000 groups. On the flip side, WhatsApp has been at the centre of controversy as well. Ahead of the October election in Brazil, it was flooded with falsehoods and conspiracy theories after the false child kidnap messages were spread on the platform in India. Owing to its end-to-end encryption, the messaging app allows groups of hundreds of users to exchange texts, photos and video beyond the purview of authorities, independent fact checkers or even the platform itself. On the social media front, it is the biggest challenge for online content monitors. Keeping in mind the rampant misuse of the platform, WhatsApp has limited the number of messages a user can forward in one go to 20 globally and 5 in India specifically. During the election period in Brazil, the company blocked “hundreds of thousands” of accounts in Brazil and the same was expected ahead of India polls as per the grapevine. How Can India Tackle Digital Threat to Elections?